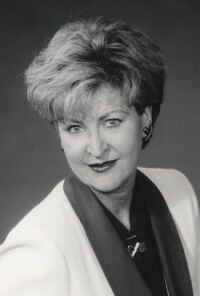 Susan Hitchcock joined the Turknett Leadership Group in 1992. In addition to her client services role, she was named executive director of Turknett’s women’s initiatives in 2003 and created the Women in Leadership Seminar Series. Susan is also involved in research‚ writing‚ and speaking on the subject of women and leadership. Before joining Turknett‚ Susan completed a 24-year career with BellSouth Corporation (now AT&T) where she held a variety of leadership positions of increasing responsibility. Her career spanned a broad range of line and staff functions including network operations‚ strategic planning‚ human factors‚ management assessment‚ technical training and executive support. At the executive level‚ Susan specialized in internal and external communications. Working with the Network Executive Vice President and serving as a liaison for BellSouth International‚ she participated in over a hundred local, national and international telecommunications forums focusing on the future of broadband. Susan also directed support services for over 35‚000 Network employees across a nine state region. These services included succession planning and leadership development. A native of Franklin‚ Kentucky‚ Susan graduated with honor from Agnes Scott College in Decatur‚ GA with a B.A. in Psychology. In 1990‚ she completed the Executive Development Program at Boston University’s Leadership Institute. As a community volunteer‚ Susan has served as an adult literacy tutor‚ a teen mentor‚ a help line counselor‚ a fundraiser‚ and a member of the Governor’s Committee on Post-Secondary Education. Supporting women’s leadership, Susan has served on the board for the Atlanta Women’s Network (AWN)‚ the Georgia Executive Women’s Network (GEWN)‚ the Board of Director’s Network (BDN)‚ and the Possible Woman Foundation International (PWFI). Within these organizations‚ she has chaired Scholarship Committees and Mentoring Programs and currently serves as a Mentor for Pathbuilders‚ Inc. Most recently‚ she was named by the Georgia Commission on Women as a Charter Board Member for the Georgia Women’s Institute. A special passion of Susan’s is her “Age of SHEroes” project - a resource dedicated to female leaders. She has interviewed dozens of women - inspirational role models in fields from A to Z – and has recorded their life and career stories along with their leadership insights. Some of these profiles are available at www.turknett.com/sectionR/women.html. Susan’s other passion is being “Xanna” to four spirited grandchildren‚ 3 girls and a boy.